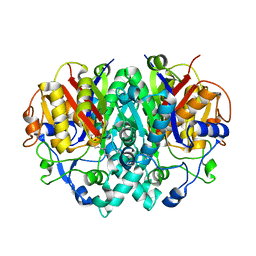 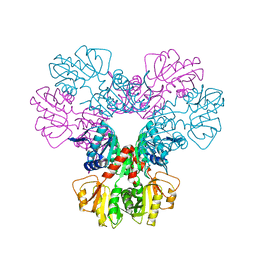 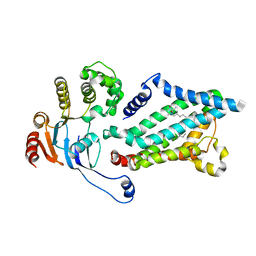 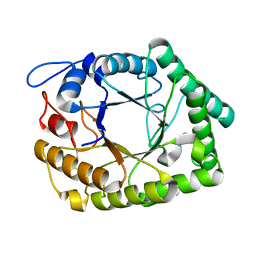 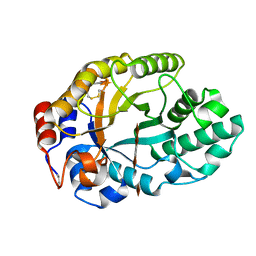 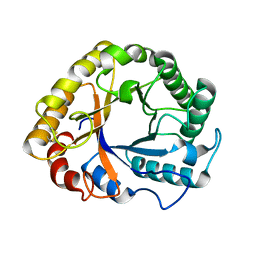 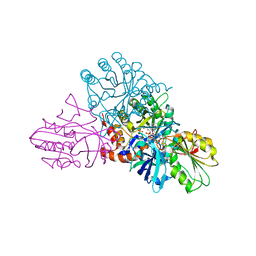 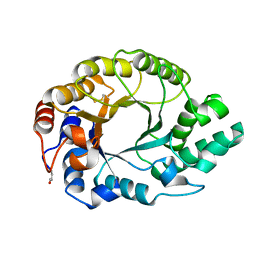 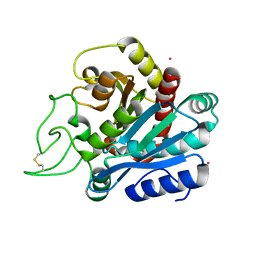 Authors: Olsen, J.G., Kadziola, A., von Wettstein-Knowles, P., Siggaard-Andersen, M., Lindquist, Y., Larsen, S.
Cite: The X-ray crystal structure of beta-ketoacyl [acyl carrier protein] synthase I. Authors: Molgaard, A., Kauppinen, S., Larsen, S.
Cite: Rhamnogalacturonan acetylesterase elucidates the structure and function of a new family of hydrolases. 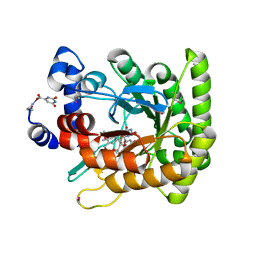 Authors: Rowland, P., Larsen, S.
Cite: The crystal structure of the flavin containing enzyme dihydroorotate dehydrogenase A from Lactococcus lactis. Authors: Harris, P., Poulsen, J.C.N., Jensen, K.F., Larsen, S.
Cite: Structural basis for the catalytic mechanism of a proficient enzyme: orotidine 5'-monophosphate decarboxylase. 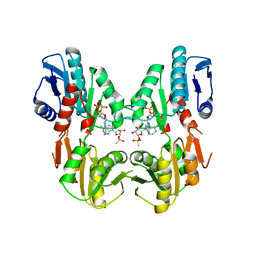 Authors: Olsen, J.G., Kadziola, A., Siggaard-Andersen, M., von Wettstein-Knowles, P., Larsen, S.
Cite: Structures of beta-ketoacyl-acyl carrier protein synthase I complexed with fatty acids elucidate its catalytic machinery. 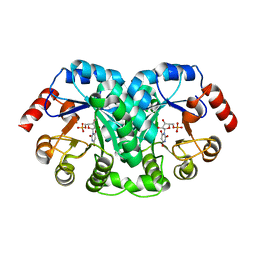 Authors: Rowland, P., Norager, S., Jensen, K.F., Larsen, S.
Cite: Structure of dihydroorotate dehydrogenase B: electron transfer between two flavin groups bridged by an iron-sulphur cluster. 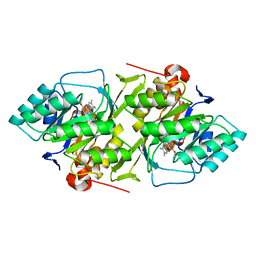 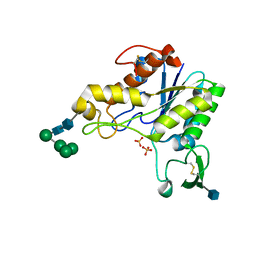 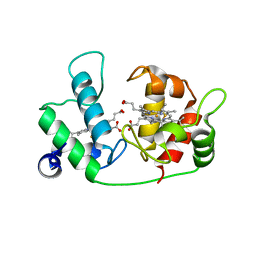 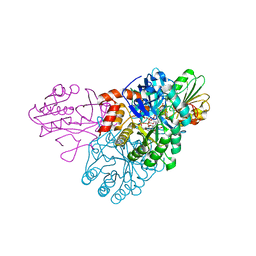 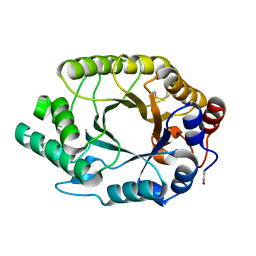 Authors: Kadziola, A., Larsen, S.
Cite: Crystal structure of the dihaem cytochrome c4 from Pseudomonas stutzeri determined at 2.2A resolution. 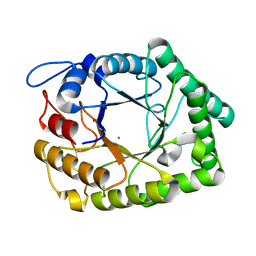 Authors: Norager, S., Jensen, K.F., Bjornberg, O., Larsen, S.
Authors: Olsen, J.G., Kadziola, A., Wettstein-Knowles, P.V., Siggaard-Andersen, M., Larsen, S.
Authors: Ryttersgaard, C., Larsen, S.
Authors: Lo Leggio, L., Pickersgill, R.W., Larsen, S.